About 900 light years from here, there’s a rocky planet not much bigger than Earth. It goes around its star once every hundred days, a trifle fast, but not too different from a standard Earth-year. At least two and possibly three other planets circle the same star, forming a complete solar system. Interested? Don’t be. Going there would be the last thing you ever do. Our own sun emits small amounts of pulsar-like X-rays and high energy particles, but the amount of such radiation coming from a pulsar is “orders of magnitude more,” he says. Even for a planet orbiting as far out as the Earth, this radiation could blow away the planet’s atmosphere, and even vaporize sand right off the planet’s surface. 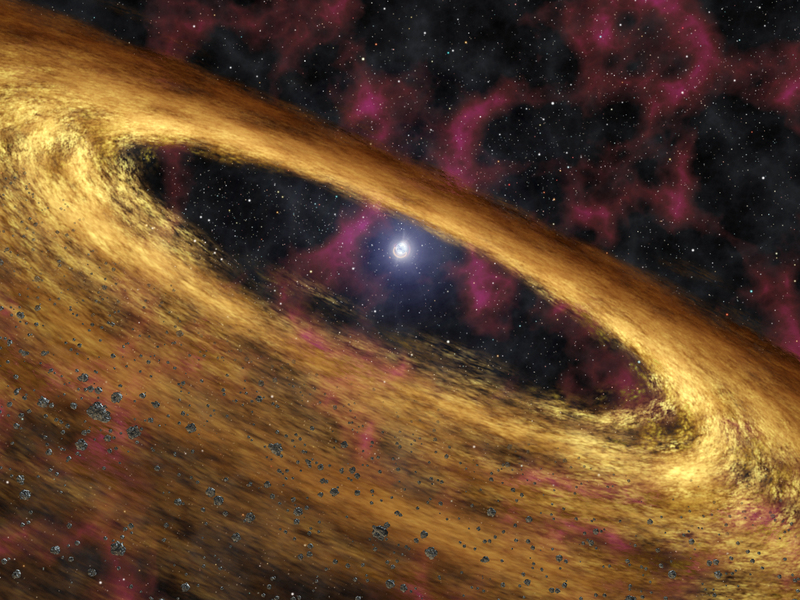 As deadly as pulsar planets are, they might also be hauntingly beautiful. The vaporized matter rising from the planets’ surfaces could be ionized by the incoming radiation, creating colorful auroras across the sky. And though the pulsar would only appear as a tiny dot in the sky (the pulsar itself is only 20-40 km across), it would be enshrouded in a hazy glow of light emitted by radiation particles as they curve in the pulsar’s strong magnetic field.